Want lash & brow deals? Cool. Us too, which is why we're constantly on the hunt for the latest lash and brow discounts, deals and one time offers. And we're willing to share - sign up to get the best lash deals delivered straight to your inbox! We neither eat nor send spam. The Internet is full of information on how to make your eyebrows grow. 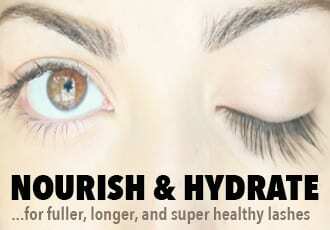 But the truth is that the vast majority of these home remedies for thicker eyebrows don't produce significant results. Sure, you may emerge with shinier, healthier eyebrows after an eyebrow egg yolk pack but the difference is kind of like using a good hair conditioner on your hair - it helps the appearance, but there's no dramatic difference in length or thickness. And yes, aloe vera is deeply nourishing but by itself, it can't take sparse, pencil-thin eyebrows to Cara Delevingne heights. So where do you turn if you're looking to get thick, full, significant eyebrow growth? Here are your best 5 options! You already know that Latisse is a damn effective eyelash growth product but did you know that it also works to grow thicker eyebrows? 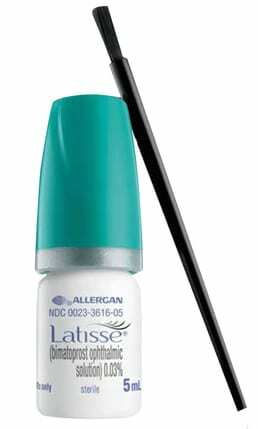 The active ingredient in Latisse is bimatoprost 0.03% and it is undeniably effective, resulting in drastically longer, much thicker, and impressively dense hair growth. 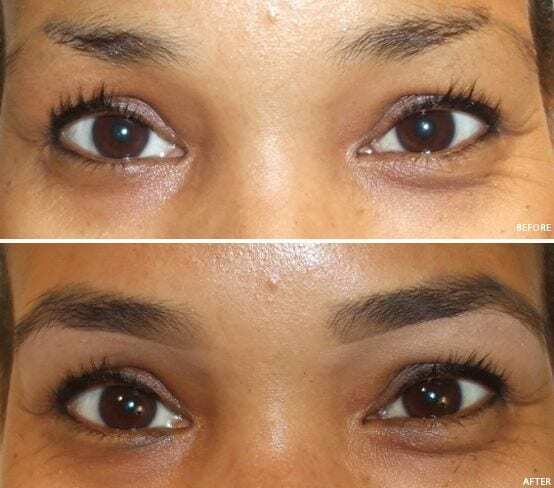 It does take awhile to start seeing results - think months, not week - but it's worth the wait to grow very dark, thick brows that are naturally yours. Latisse is also FDA-approved and shown to work for around 80% of people who use it. Just make sure you're careful with application so you don't wind up encouraging stray hair growth. The skin can also darken from Latisse so precision is key - use a fine-point eyeliner brush to apply the product in a thin line exactly where you want your brows to become more dense. The downside is that Latisse is expensive – around $125 for a tiny bottle – and you need a prescription for it, so add in the cost of a doctor’s visit as well. Unfortunately, the thicker, fuller eyebrow growth you get from Latisse only lasts if you continue using the product, which means this is going to become an ongoing expense. The thing that makes Latisse so effective for eyelash and eyebrow growth is simple: bimatoprost, the active ingredient in Latisse. Bimatoprost is a prostaglandin analogue that's responsible for growing thicker, denser hair and although you won't be able to get it without a prescription, you can get other effective prostaglandin analogues. 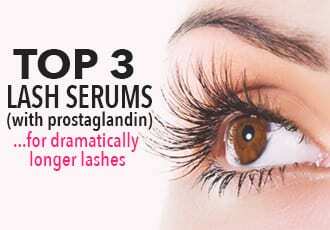 The trick is to suss out which eyebrow growth serums actually contain these prostaglandin ingredients and which don't. After all, there are a ton of brow serums on the market and not all of them work. The only ones that can really deliver dramatically fuller, thicker results are the ones with prostaglandin analogues. These ingredients usually show up as Isopropyl Cloprostenate, Prostaglandin I.C., or Methylamido Dihydro Noralfaprostal. 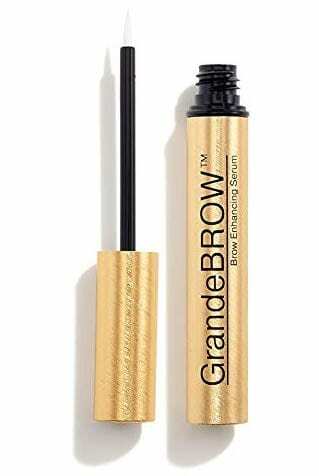 Our favorites of the bunch for sheer effectiveness and price is GrandeBrow, which at $70-ish is still a fraction of the cost of Latisse and is just as great at stimulating new brow growth and filling out sparse, light, pencil-thin lines into full, dark eyebrows. Plus, it even beats Latisse with its better application brush. Just like with Latisse, these brow serums take time to work. So be patient, apply regularly and track your progress! 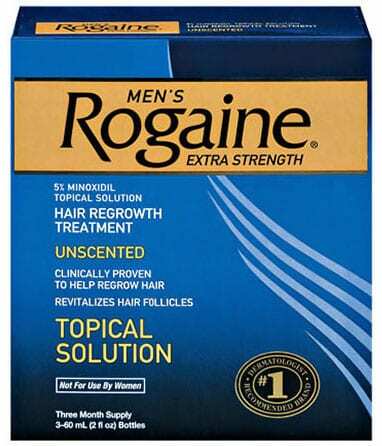 Yes, yes, we're talking about Rogaine - the very same Rogaine that's used as a treatment for male patterned baldness. It doesn't just work for the hairs on your head - used on your brows, Rogaine can help you grow back eyebrows that were lost to over-plucking and restore your brows to their former, thicker glory. The downside is that Rogaine takes even longer than Latisse and brow serums to work. Whereas you should start seeing results with prostaglandin analogues in around two months, Rogaine requires monk-like patience: it can be six months before you see results. That being said, it's worth the wait, considering the 5% Minoxidil version of Rogaine only costs $38 and will last you forever. Plus, it's easy as pie to use - just dab it on with a Q-tip to grow back thinning, balding eyebrows and protect against future brow loss. Can't be bothered to apply a product every day to your brows? Or maybe you have sensitive skin and just don't want to risk a topical product. Either way, there's always the option to grow thicker eyebrows from the inside out. We're talking about Viviscal, which is a natural supplement that combines a potent combination of marine proteins, acerola cherry (an antioxidant), biotin, zinc, vitamin C and horsetail extract, a form of silica. These vital nutrients go straight to nourish the hair follicle and prolong the growing phase of the hair growth cycle, thickening thinning hair and stimulating hair growth. 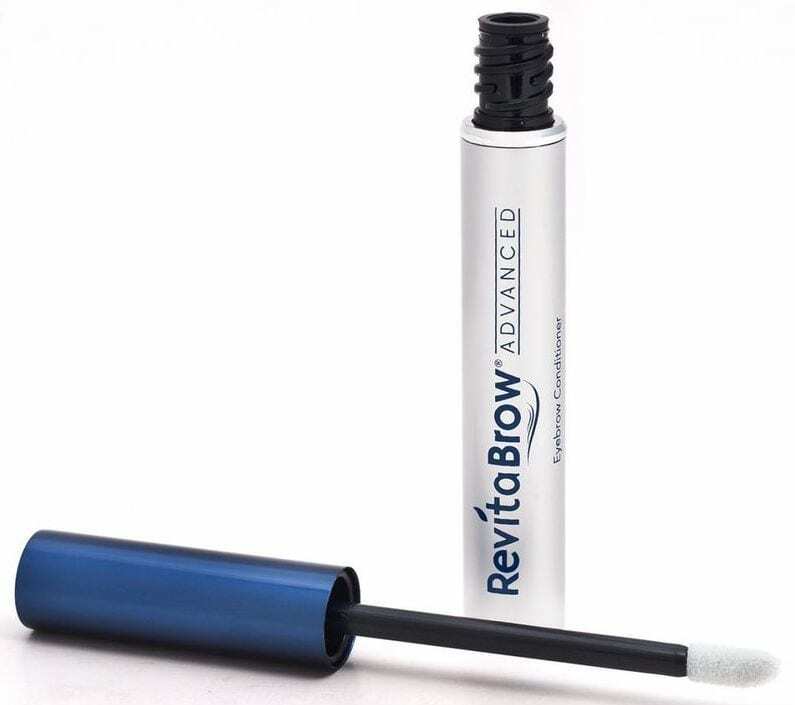 The result is longer, thicker, faster eyebrow growth that's naturally yours. The downside is that Viviscal can take around three to four months to show results, which isn't too bad - after all, all the eyebrow growth products take time. 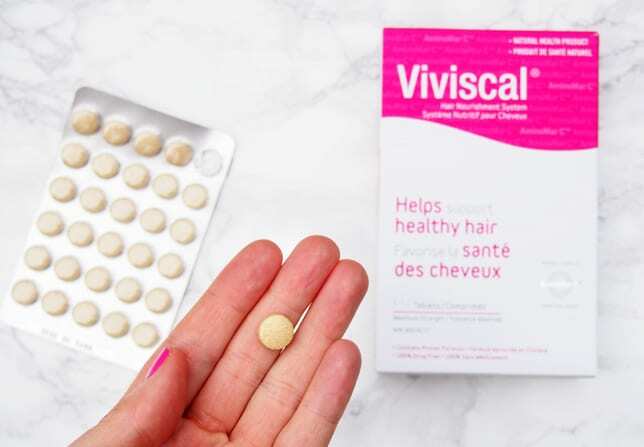 The real downside is actually that Viviscal promotes faster hair growth everywhere. This means you'll be seeing sparse, thinning eyebrows fill in (yay!) and the hair on your head grow more thick, shiny and luxurious (yay!) but it also means you'll be shaving your legs three times a week. So make sure you're prepared for that! You already know that eyebrow growth serums that contain prostaglandin analogues are the most effective for growing significantly thicker, fuller eyebrows but what if you don't care for the other potential side effects of prostaglandins like darkening of the skin? Makes sense, especially if you have pale skin and light brows. Lucky for you, there are also brow serums that use natural, side-effect-free ingredients to promote eyebrow hair growth. 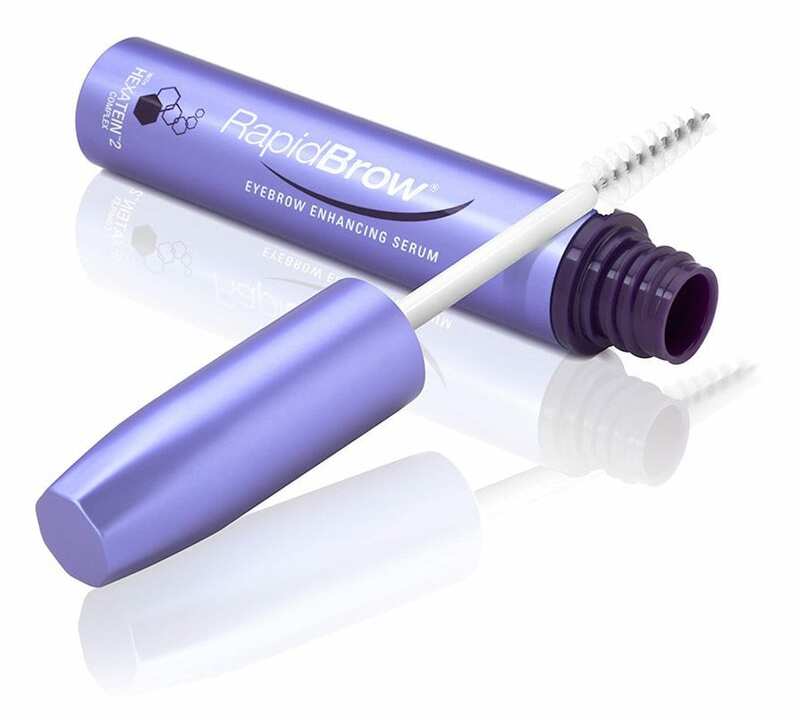 Usually formulated with amino acids, peptides, biotin and botanical extracts that strengthen and thicken eyebrows, these brow serums are perfect to add fullness and re-grow traumatized eyebrows to their former glory. Does Latisse Work on Eyebrows? very informative and thoughtfully written…..thank you! 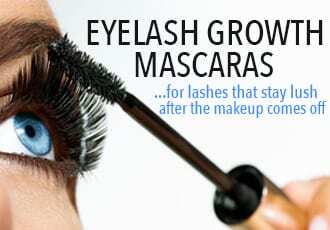 How Long Does it Take for Eyelashes to Grow Back? Does Coconut Oil for Eyelashes Work? What’s the Best Eyeliner for Eyelash Extensions? What are the Best Lashes for Small Eyes? Do Eyelashes Grow Back if Cut? Copyright text 2016 by beLASHED.